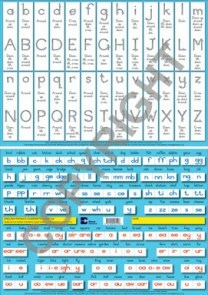 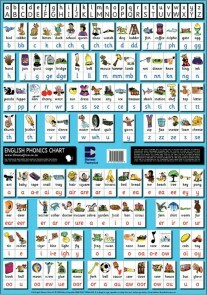 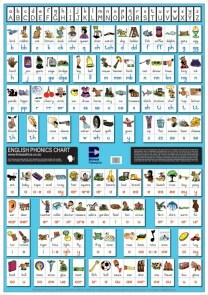 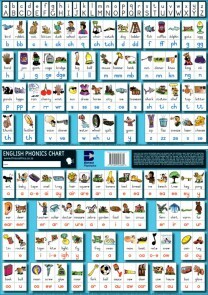 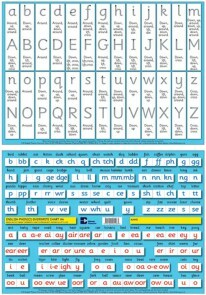 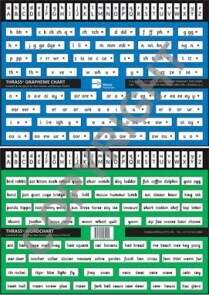 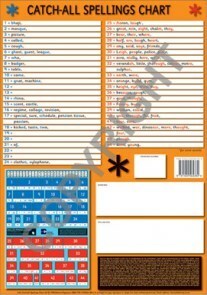 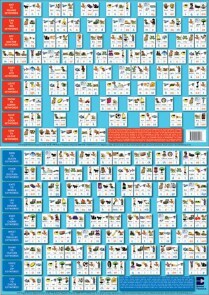 The focus of THRASS is a large, colourful ENGLISH PHONICS CHART, commonly known as the THRASS Chart. 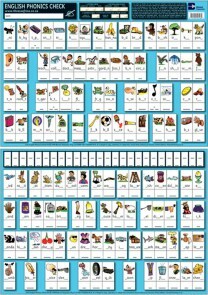 Here the 44 English sounds are clearly presented with 44 sound boxes and 120 pictures, keywords and keyspellings (spelling choices). 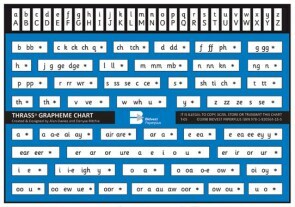 The 24 consonants are shown in blue and the 20 vowels in red.